My initial visit was to due due to migraine type headache. However over the next few sessions it became clear that the headache was just a symptom of something else. 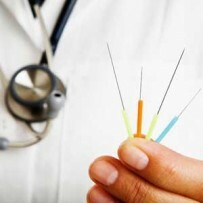 I have been attending Suzanne for Acupuncture for almost 4 years. My initial visit was to due due to migraine type headache. However over the next few sessions it became clear that the headache was just a symptom of something else. It is this type of approach to patient treatment and care that impressed me most about Suzanne and using acupuncture as a treatment. Apart from alleviating my migraine headaches I have found the relaxation and calm from each session very beneficial. I cannot recommend Suzanne highly enough.